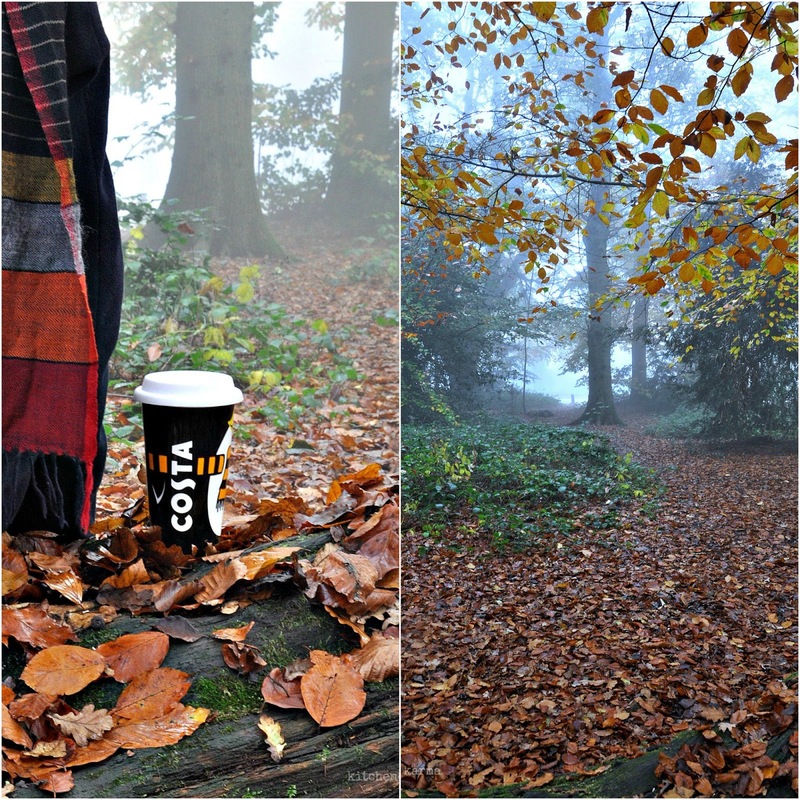 I have a thing about November ~ the swirling mists, the crunch of the fallen leaves on the ground, the feeling of spookiness in the air. Temperature dips, wooly hats and coats come out, so do blankets. There is an anticipation in the air, of Christmas and joy, of bright lights and good cheer. 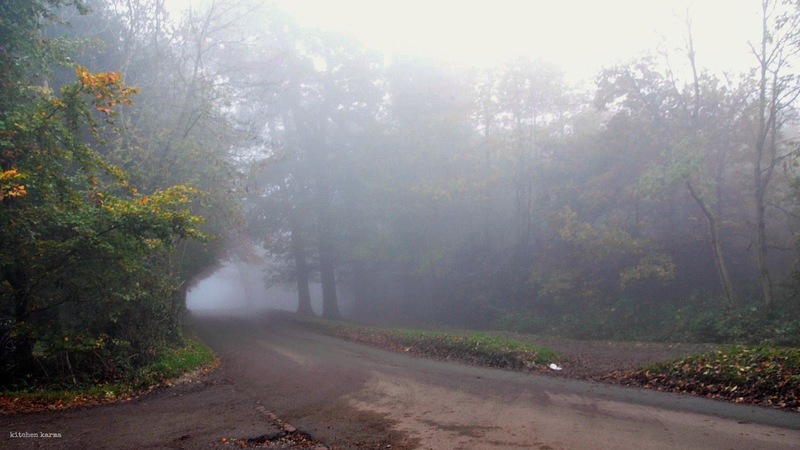 I just love Box Hill around this time, the best bit is most of the summer tourists are gone, the few locals are almost invisible in the mist and you feel all alone in the nature. 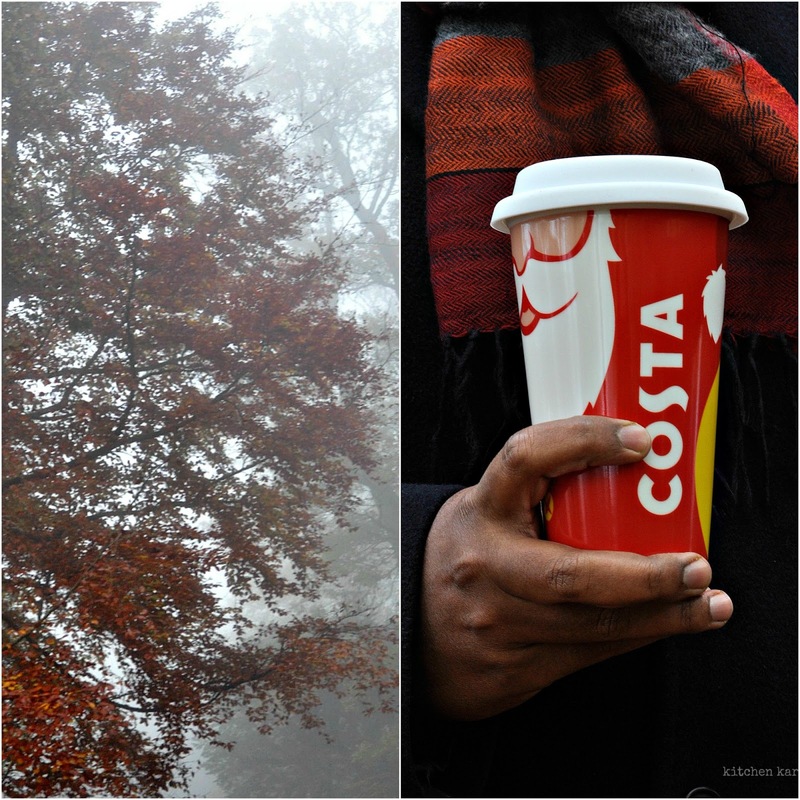 When Costa sent me their collection of Christmas ceramic coffee cups to review, I knew I had to shoot them in the misty Box Hill. The forests make the perfect backdrop for these brightly coloured ceramic cups which are designed to spread cheer & warmth. 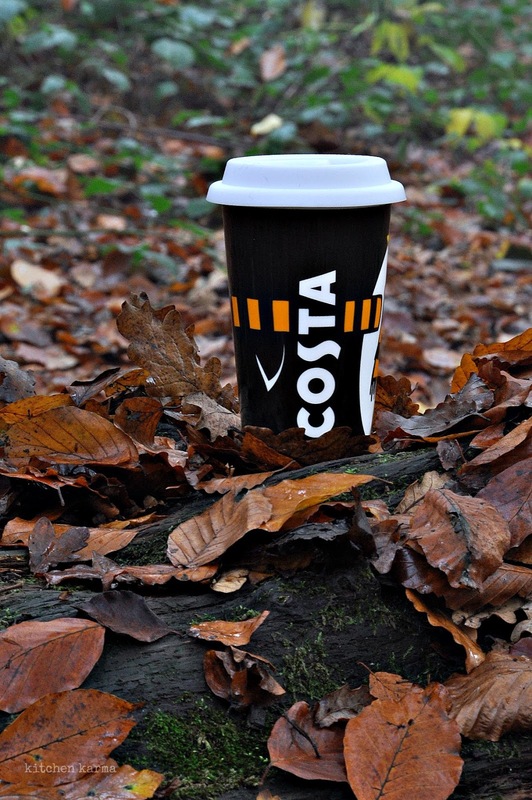 For Christmas '15 Costa has come up with three different to- go coffee cups ~ red, white and black. They all have Christmas graphics on them and perfect for topping up in any of the Costa cafes dotted around the country or carrying your own coffee from home. It also is a great Christmas gift for coffee lovers, I know so many of my friends would love these. They come in nice cardboard boxes so wrapping them would also be easy peasy. My favourite of the three of them is the red one, it is just so Christmas-y and cheerful. Husband likes the black one better, I guess that is why Costa has come up with different colours to suit different preferences. Costa is also introducing a wide range of Christmas special treats which are hitting their cafes from today. Look for them when you are next in a Costa cafe. If you enjoyed this post, you may want to check out my last year's November post. 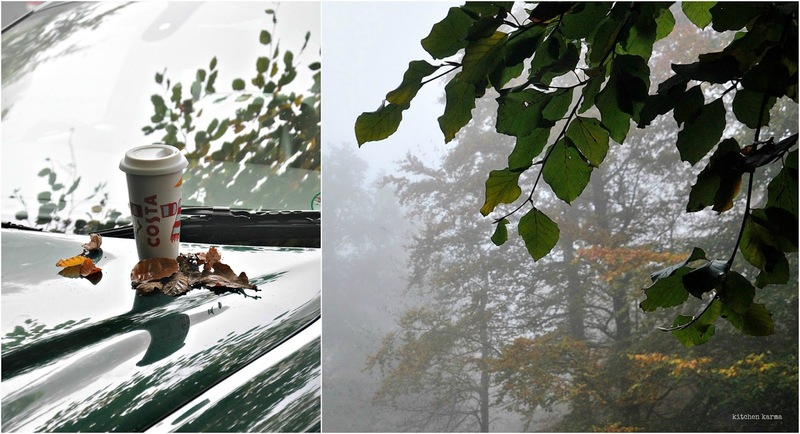 It's amazing to visit places which are misty and cold during November. Unfortunately, metros like Mumbai are anything but. Indeed it will be a pleasure to enjoy coffee at such beautiful locations.